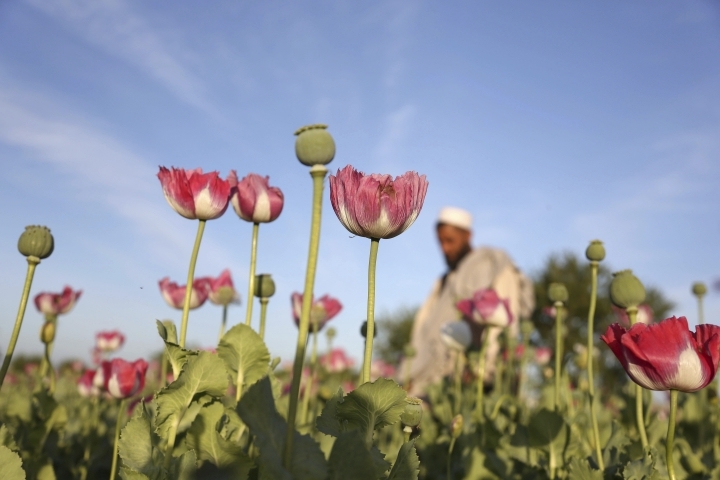 KABUL, Afghanistan — Afghanistan's opium production has almost doubled this year compared to 2016, while areas that are under poppy cultivation rose by 63 percent, according to a new joint survey released Wednesday by the United Nations and the Afghan government. The production increased by 87 percent and stands at a record level of 9,000 metric tons (9,921 U.S. tons) so far in 2017, compared to the 2016 levels of 4,800 metric tons (5,291 U.S. tons). 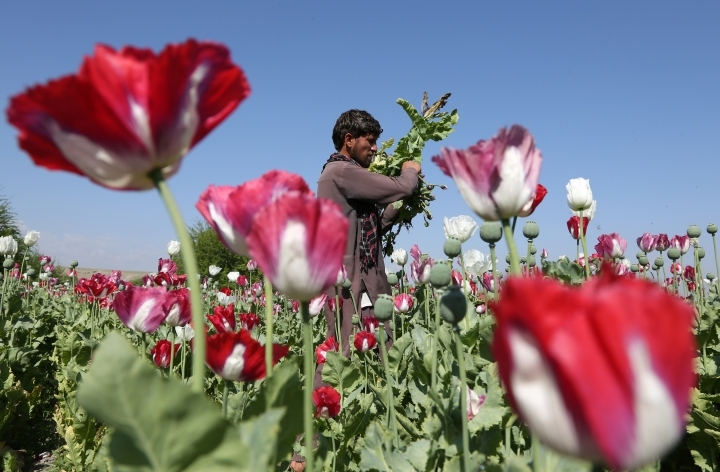 Afghan Ministry of Counter Narcotics and the U.N. Office on Drugs and Crime said the area under opium poppy cultivation has also increased to a record 328,000 hectares (810,488 acres) in 2017, up 63 percent compared with the 201,000 hectares (496,671 acres) that cultivated the poppy in 2016. "It is high time for the international community and Afghanistan to reprioritize drug control, and to acknowledge that every nation has a shared responsibility for this global problem," UNODC's Executive Director Yury Fedotov was quoted as saying in the statement. The increase in production is mainly result of the increase in the area under poppy cultivation, while an increase in opium yield also contributed. The largest increase in yields came in the south, where the average yield grew by 19 percent. In the country's north-eastern region, the yield from the opium poppy rose by 14 percent, the statement said. Also, the survey said the number of poppy-free provinces in the country decreased from 13 to 10, with Ghazni, Samangan and Nuristan province also becoming poppy growing regions, raising the number of those cultivating the poppy from 21 to 24 provinces in the country. 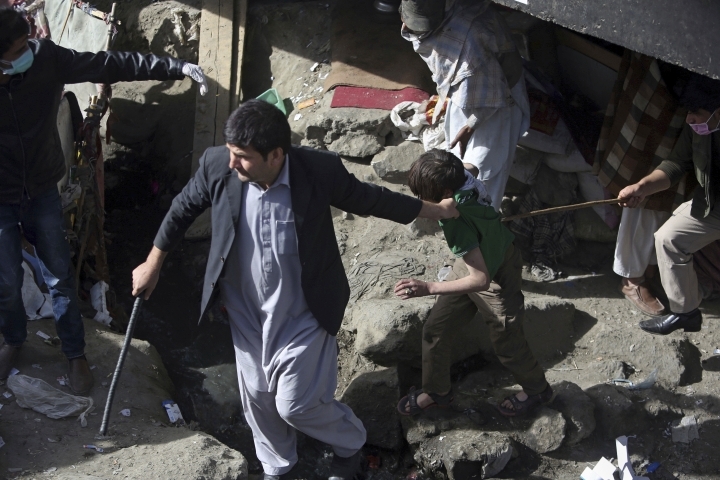 Afghanistan is the world's top cultivator of the poppy from which opium and heroin are produced. The 2017 record levels of opium production and poppy cultivation create multiple challenges for the country, its neighbors and the many other countries that are transit for or destination of Afghan opiates. 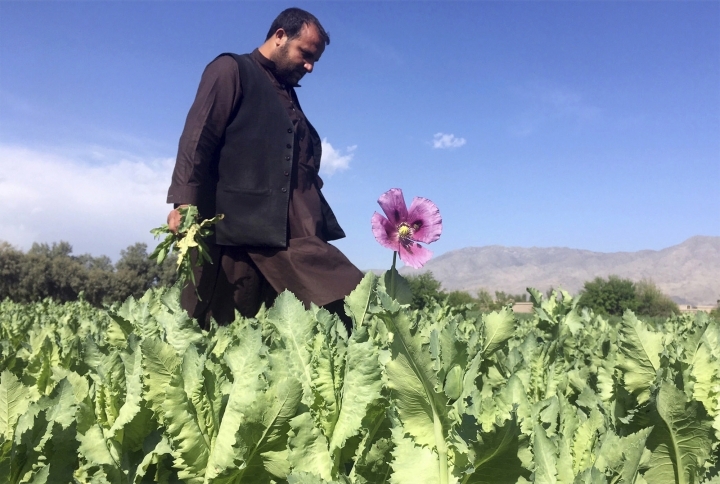 The Taliban, who have been waging war against the Afghan government since 2001, are heavily involved in poppy cultivation and opium distribution, especially in areas under their control. They have stepped up their attacks against Afghan security forces in northern region of the country and elsewhere over the past year. In 2017, government-organized poppy eradication took place in 14 provinces, compared to seven provinces in 2016. 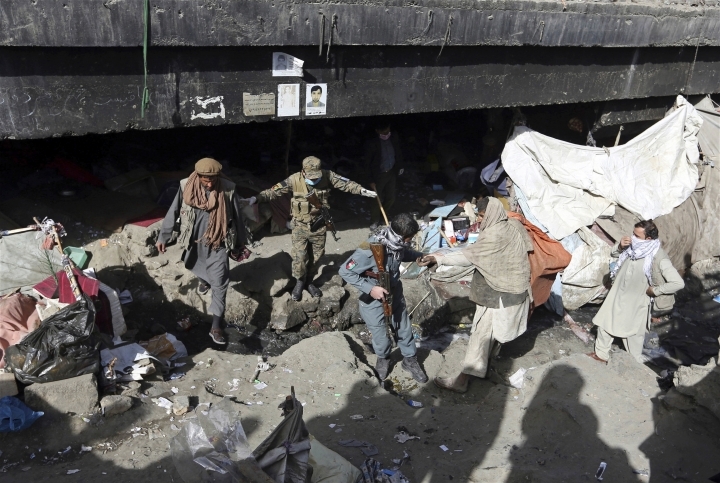 During the latest eradication campaign, six people were killed and eight were wounded in attacks by Taliban as well as drug traffickers.